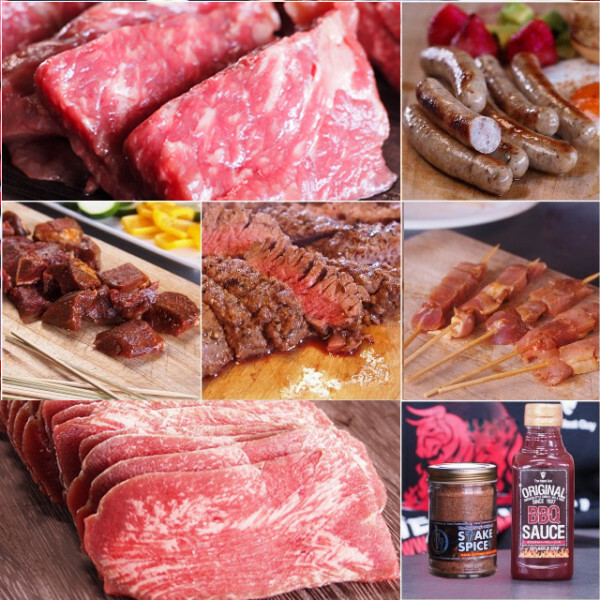 A big set of items you will not want to miss at your next Yaki Niku Party! 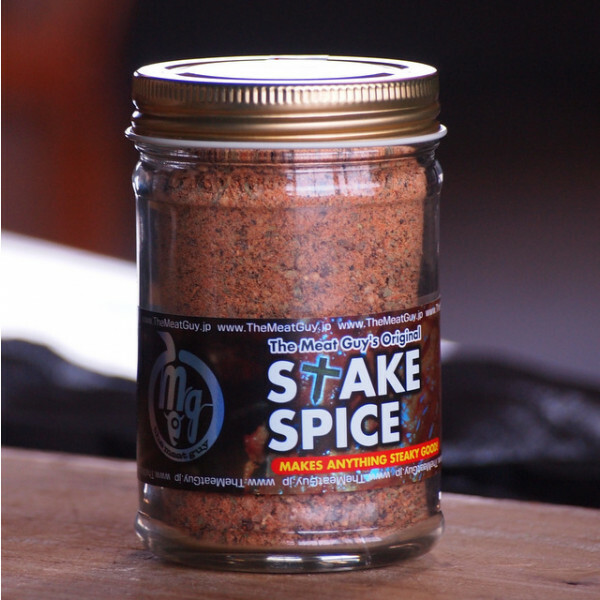 You'll get around 2.7 kg of already cut, pre-spiced meat plus one of our Steak Spices and a bottle of BBQ Sauce. Supposing each person eats about 250g, that should be enoguh to easily feed 10 - 11 people. In total, that makes a price of 900 yen per person which is pretty awesome, right? These guys do best on a yaki niku or electric grill. 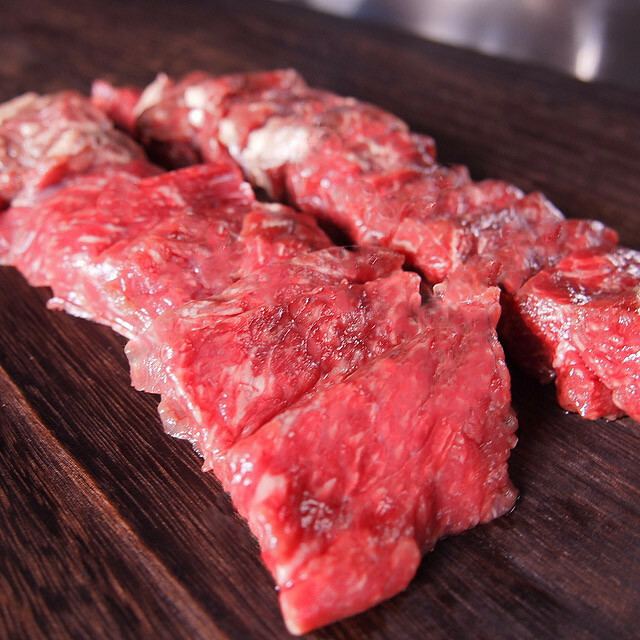 Cook to medium rare, best served with sea salt or your favorite yaki niku sauce. Just some nicely seasoned pork cubes for making your own skewers. 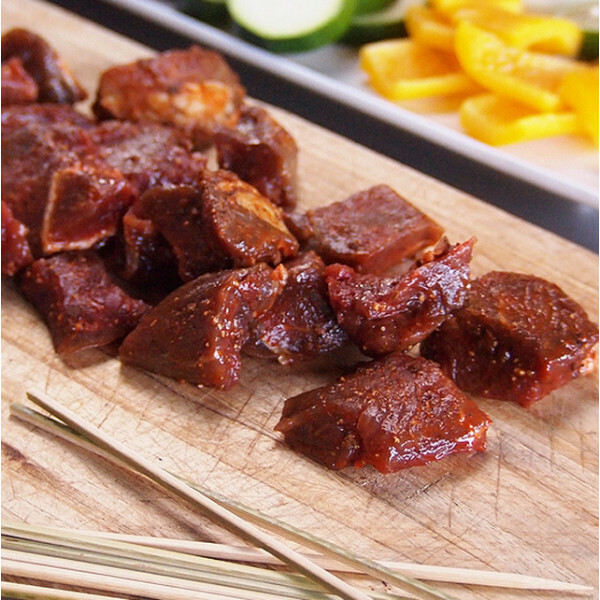 You can use these cubes to make your own beef skewers. Tongue cut into 2mm slices. 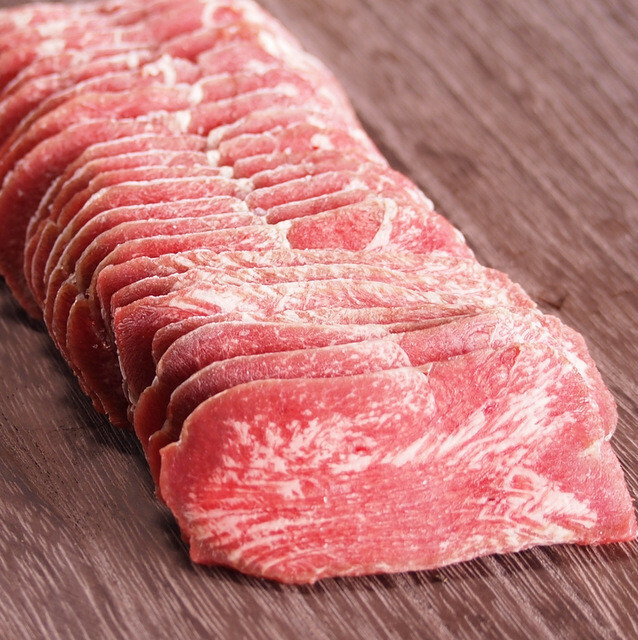 There is nothing to go wrong when it comes to yaki niku and beef tongue slices. 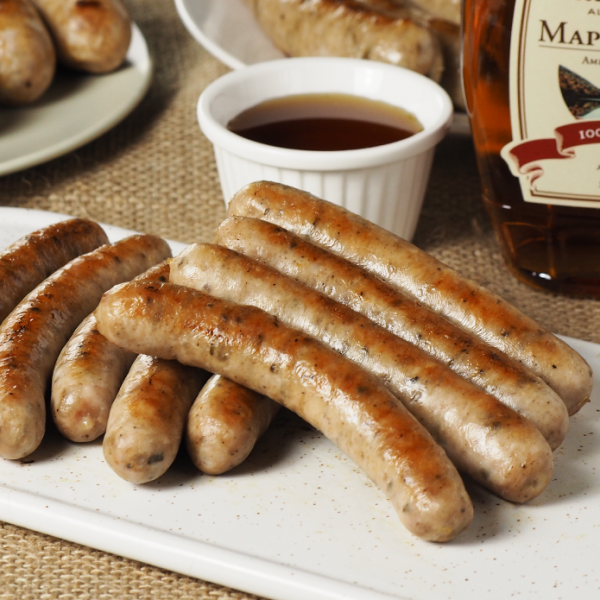 We put the awesome taste of pure 100% natural maple syrup in a sausage. No sugar, no preservatives, no chemical additives. This is our own special blend. 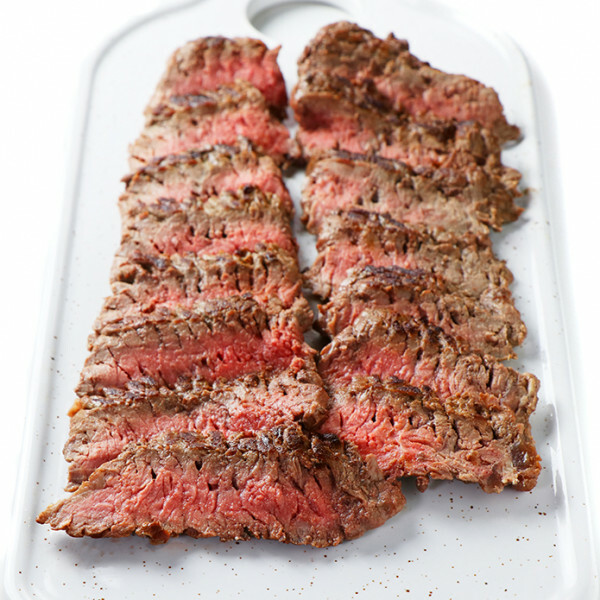 A perfect match for any of our steaks, chops, or chicken. 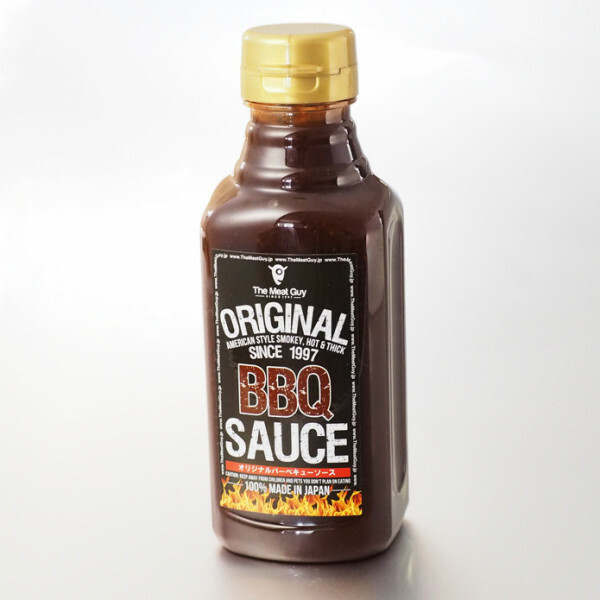 Thick, Hot, and Smokin’ BBQ Sauce. 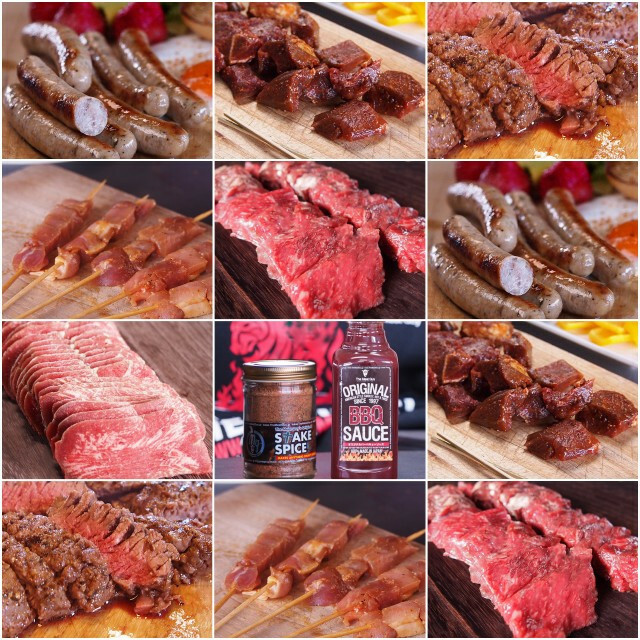 Maybe the best American BBQ sauce you will ever have and it’s only available in Japan. As mentioned above, the meat in this set is already cut. You don't have to waste your time trimming or preparing it. 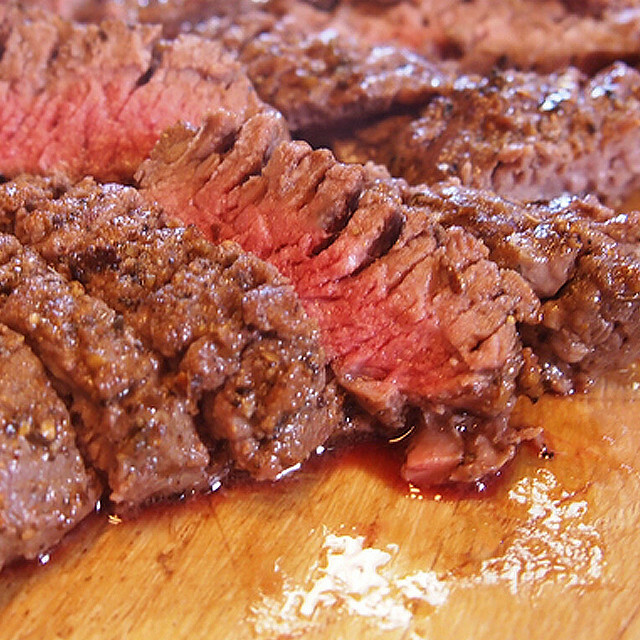 A little bit of sea salt, pepper, and Stake Spice should be added to the tenderized stakes and tongue, but as for the other items they don't need any extra seasoning. 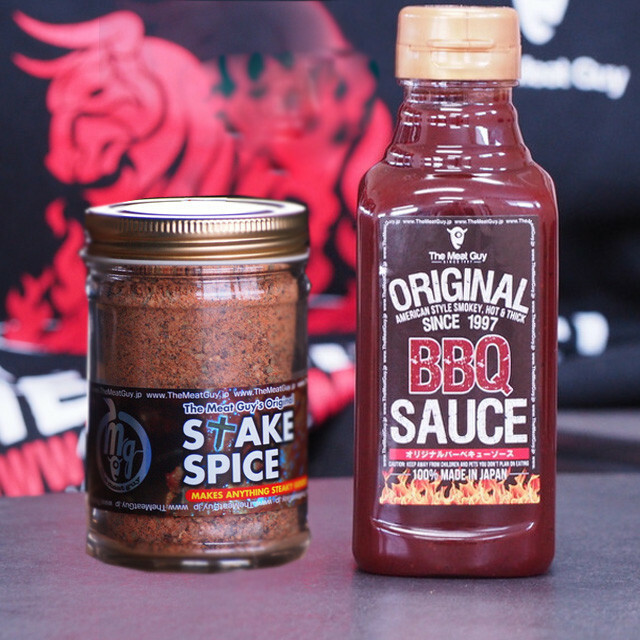 Don't worry about the size of the BBQ sauce and Stake Spice jar, from our experience one pack lasts for more than one party. However, we would recommend you to buy some veggies like onion, zucchini, tomatoes etc. 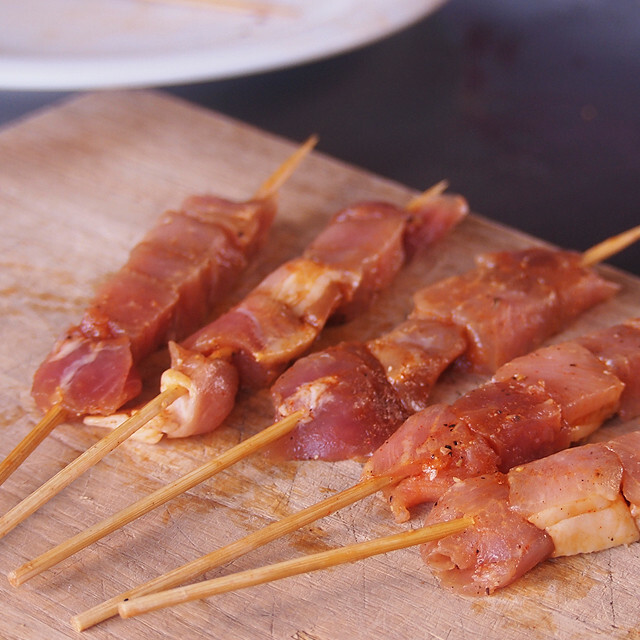 for the skewers. 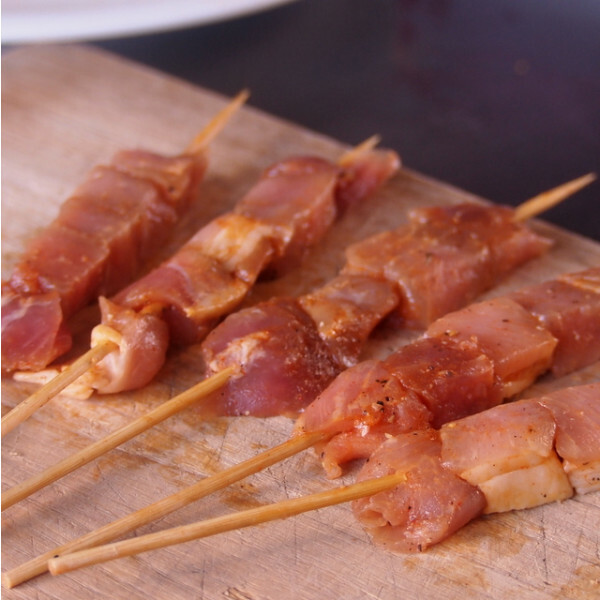 With 40 of them included, you should have enough skewers for everybody. 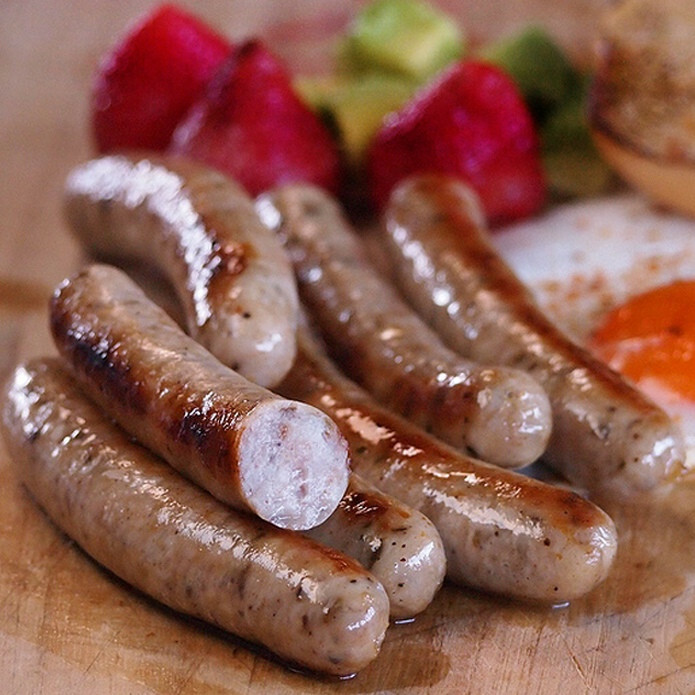 Fast, cheap and delicious - the best conditions for a perfect party! All you need is this set, a small BBQ or electric grill and you're covered. Great for the upcoming Hanami season!